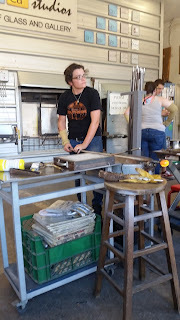 I went to SiNaCa studios in Fort Worth and took a glass class. 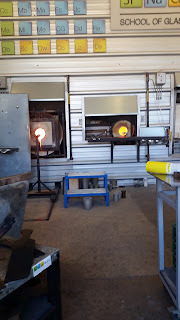 I made two items - a pumpkin and a paperweight - and had so much fun doing it! 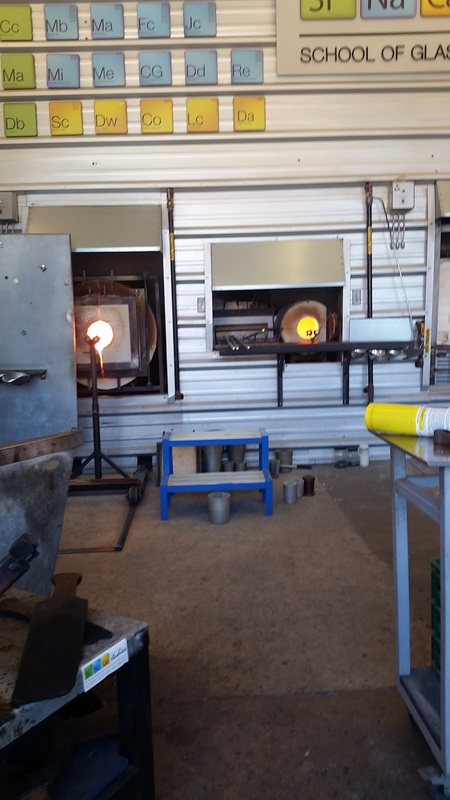 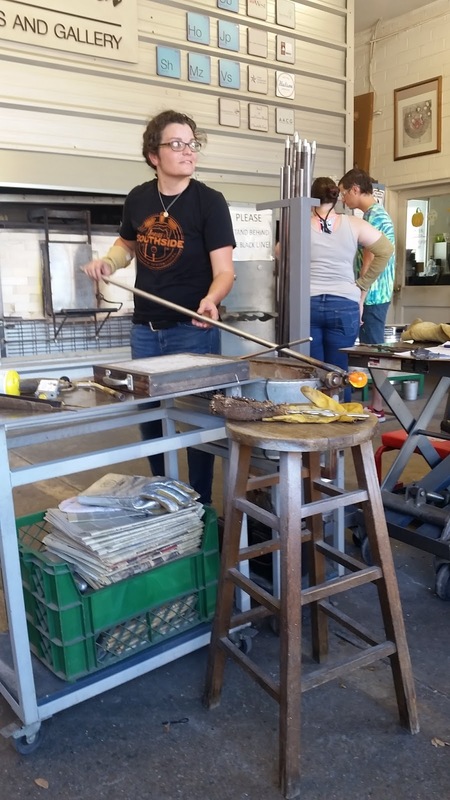 Here you can see the kilns they use to keep the glass hot, plus one of the instructors rolling glass.